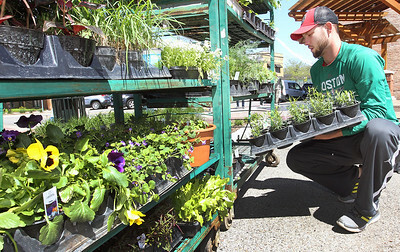 Candace H. Johnson-For Shaw Media Tim Peterson, market manager with Geneva Lakes Produce, of Burlington, Wis., puts some herb plants on a shelf at the Grayslake Farmers Market in downtown Grayslake. Candace H. Johnson-For Shaw Media Faith Smith, 14, of Ingleside has some fun with a hula hoop in the play area at the Grayslake Farmers Market in downtown Grayslake. 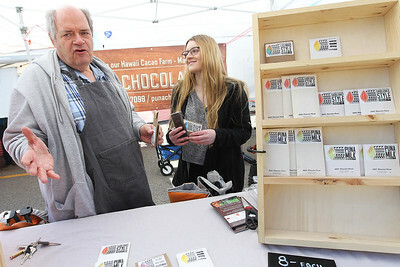 Candace H. Johnson-For Shaw Media Bob Potter, of Lake Barrington and his granddaughter, Autumn Hagerott, 15, of Tower Lakes, with the Puna Chocolate Co., talk about the chocolate bars they have for sale at the Grayslake Farmers Market in downtown Grayslake. 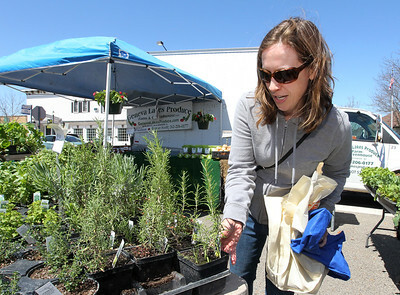 Candace H. Johnson-For Shaw Media Tina Sernett, founder of The Sports Shed, in Libertyville makes the basketball shot as she raises awareness on bringing in donations of sports equipment to them to give to underfunded schools and programs at the Grayslake Farmers Market in downtown Grayslake. 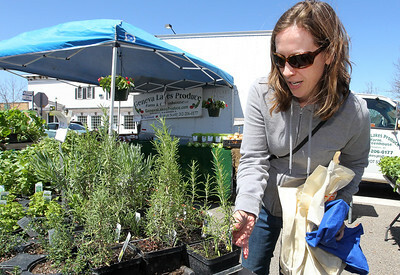 Candace H. Johnson-For Shaw Media Sara Nebert, of Lake Villa picks out a rosemary plant from Geneva Lakes Produce at the Grayslake Farmers Market in downtown Grayslake. 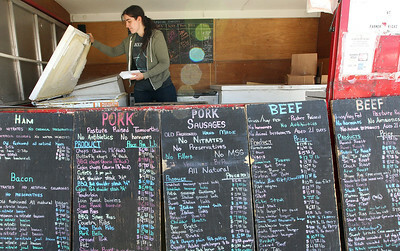 Candace H. Johnson-For Shaw Media Liz Duffy, of Grayslake with Farmer Nick's pulls out some bacon from the freezer at the Grayslake Farmers Market in downtown Grayslake. 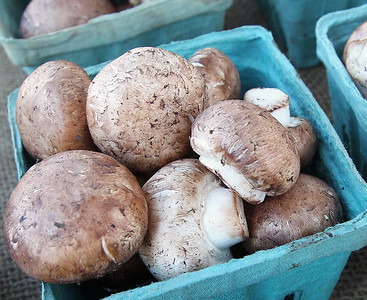 Candace H. Johnson-For Shaw Media Mushrooms for sale offered by Geneva Lakes Produce, of Burlington, Wis., at the Grayslake Farmers Market in downtown Grayslake. 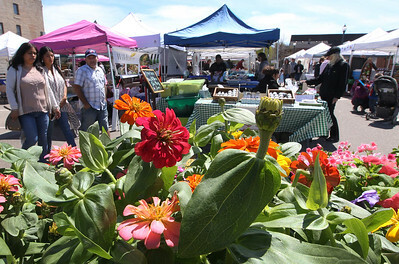 Candace H. Johnson-For Shaw Media The Grayslake Farmers Market in downtown Grayslake. 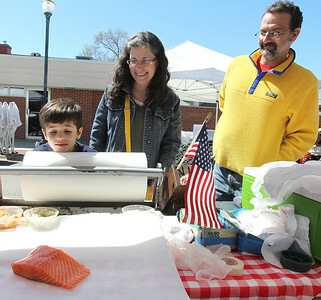 Candace H. Johnson-For Shaw Media Charlie Craig, 6, of Hainesville and his parents, Lexie and Spencer, check out a piece of fresh salmon from The Aspiring Kitchen at the Grayslake Farmers Market in downtown Grayslake. 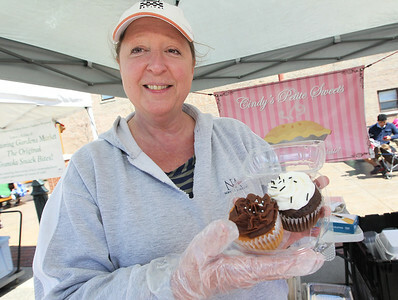 Candace H. Johnson-For Shaw Media Cindy Pocklington, of Winthrop Harbor with Cindy's Petite Sweets, shows her cupcakes for sale at the Grayslake Farmers Market in downtown Grayslake. Faith Smith, 14, of Ingleside has some fun with a hula hoop in the play area at the Grayslake Farmers Market in downtown Grayslake.